Just over a month ago, Embry-Riddle Aeronautical University announced that they were forced to cancel their bi-annual Wings & Waves Air Show that was originally scheduled for October 8-9 in Daytona Beach, Florida due to a lack of external sponsorship's and ongoing logistical concerns. 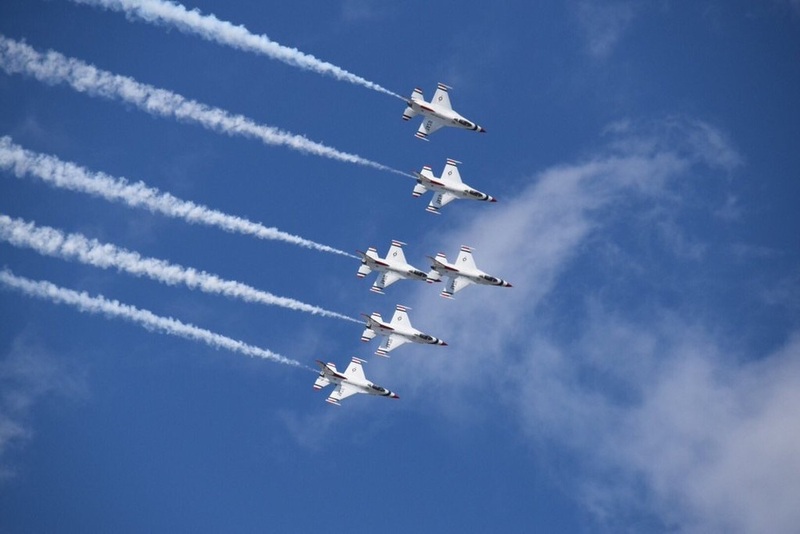 The United States Air Force Thunderbirds were scheduled to be the headlining performers for the 2016 show. Upon cancellation of the show, the Thunderbirds immediately began considering alternative show sites for the weekend of October 8-9. The front runners were the Caribbean Aero Expo in San Juan, Puerto Rico, as well as the inaugural Wings over the Golden Isles Air Show in Brunswick, Georgia. JLC Air Show Management really pushed to bring the Thunderbird to Georgia this October, which would've made three Georgia air shows in four weeks. JLC Airshow Management will host the Thunderbirds October 29-30 for the 2016 Wings over North Georgia Air Show in Rome, Georgia. October 1-2, the team will be at Thunder over Georgia at Warner Robbins AFB, Georgia. Ultimately, the Thunderbirds chose to return to Puerto Rico for the first time since 2011, when the team performed in Cieba, Puerto Rico. 2016 marks the 1st annual Caribbean Aero Expo, and it is the most comprehensive aviation exposition in the Caribbean region. Stay tuned to our website, social media, and mobile app for the latest news and updates regarding this addition to the Thunderbirds' 2016 show schedule.